Another 1974 Carrera 2.7 is up for sale, this time RHD chassis #911 460 020 located in Australia. The seller states this is Viper Green, which wasn't a color available after 1973 except by a completely custom paint order. 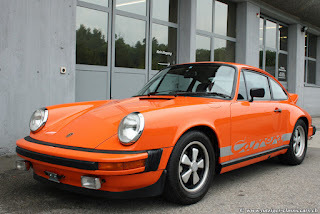 It is unknown what the original color this Carrera was painted in. 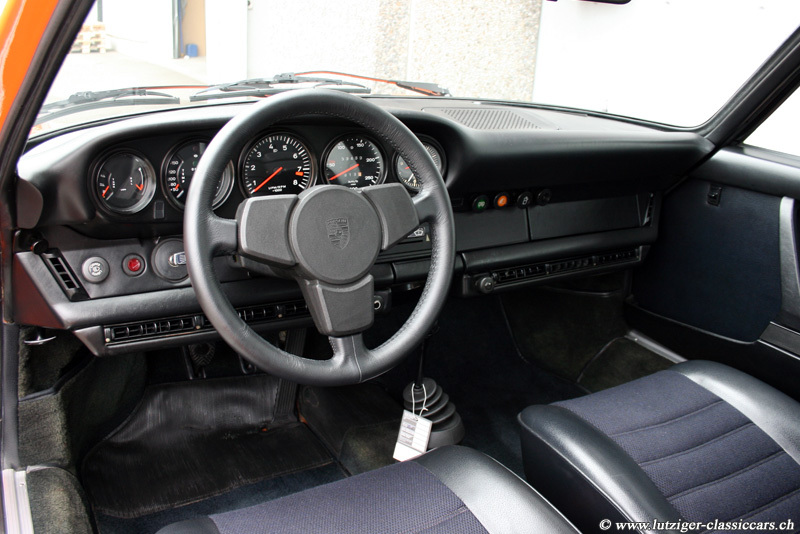 The black mirror, backdated F-series style RS interior and black centers on the Fuchs are several of the incorrect details for a 1974. Offered for $89,000 AUD (approx. $93,000 USD). 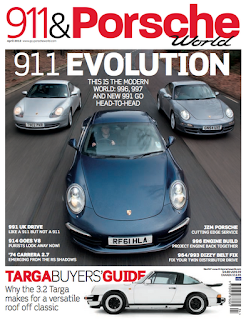 The latest April issue of 911 & Porsche World has an article on the 1974 Carrera MFI 2.7. 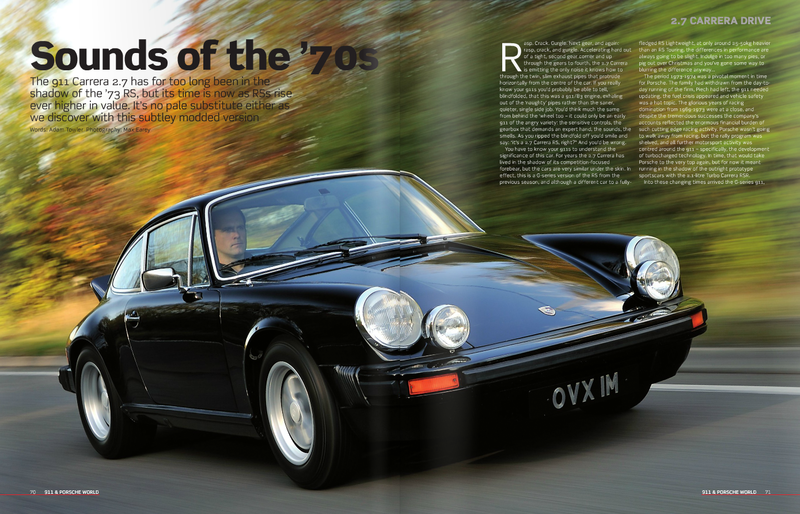 The article, written by Adam Towler, features a RHD black 1974 Carrera 2.7 with chrome trim, ducktail, and Cibié rally lights. 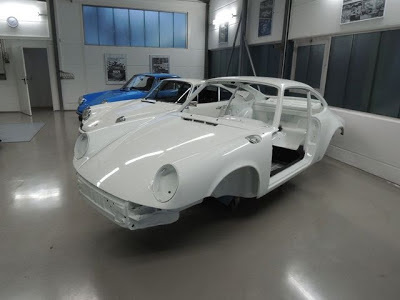 Does anyone know the chassis number or any additional details on this Carrera? Rasp. Crack. Gurgle. Next gear, and again: rasp, crack, and gurgle. 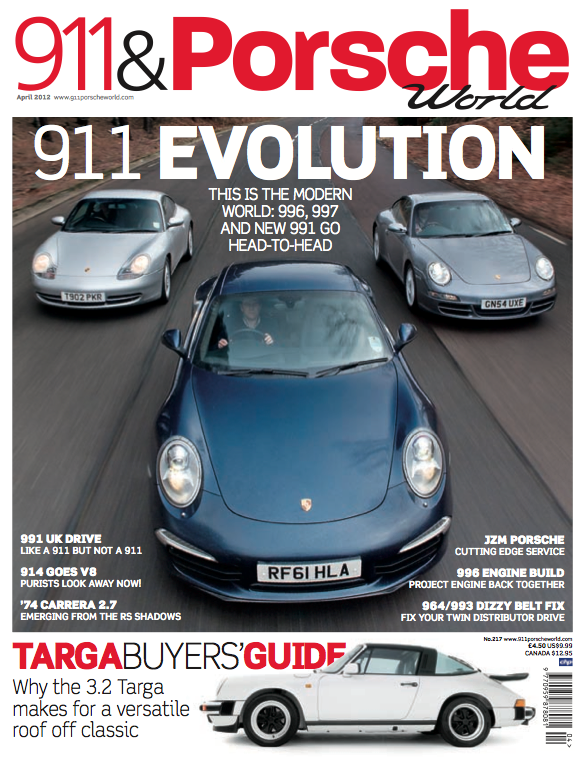 Accelerating hard out of a tight, second gear corner and up through the gears to fourth, the 2.7 Carrera is emitting the only noise it knows how to through the twin, slim exhaust pipes that protrude horizontally from the centre of the car. If you really know your 911s you'd probably be able to tell, blindfolded, that this was a 911/83 engine, exhaling out of the 'naughty' pipes rather than the saner, quieter, single side job. 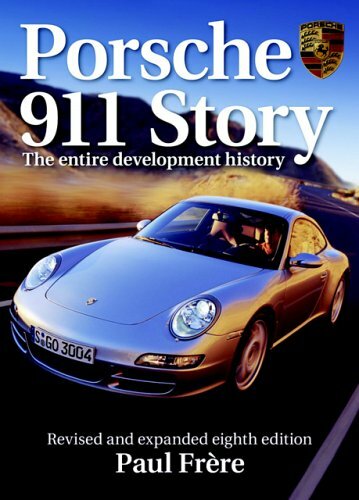 You'd think much the same from behind the wheel too -- it could only be an early 911 of the angry variety: the sensitive controls, the gearbox that demands an expert hand, the sounds, the smells. 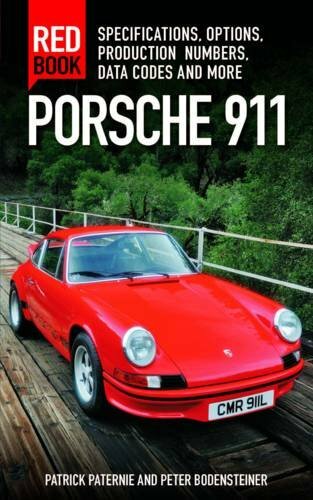 As you ripped the blindfold off you'd smile and say: "it's a 2.7 Carrera RS, right?" And you'd be wrong. 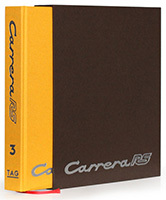 For more reading on the Carrera MFI 2.7 also see "Out of the Shadows" from the October 2009 issue of Hemming's Sport & Exotic. 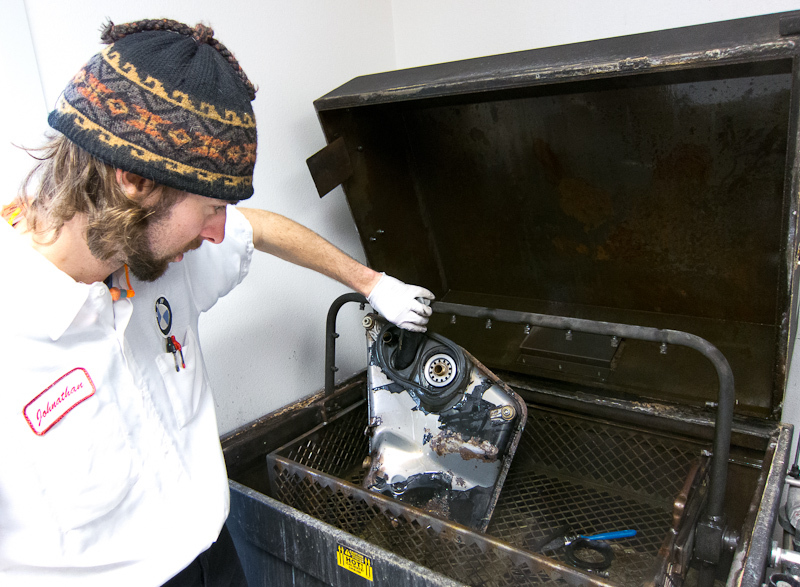 Tim and Jonathan at German Master Tech have continued removing everything off the 1976 Carrera 2.7. 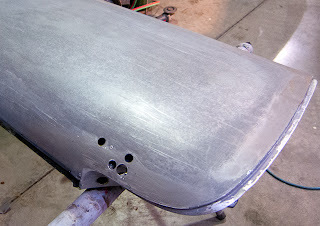 Everything, including the wiring harness, has been removed and the shell is ready to start the next phase of metal work. The chassis and body panels have been delivered to Jon, an experience pick and file metalworker. Jon will carefully strip all the paint prior to replacing metal in the few areas where we found rust. 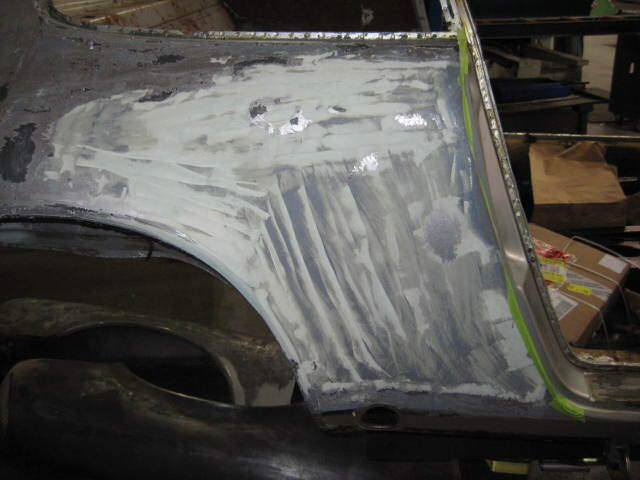 Additionally he will fix minor impact damage to the front driver side which wasn't properly repaired sometime in the car's past. 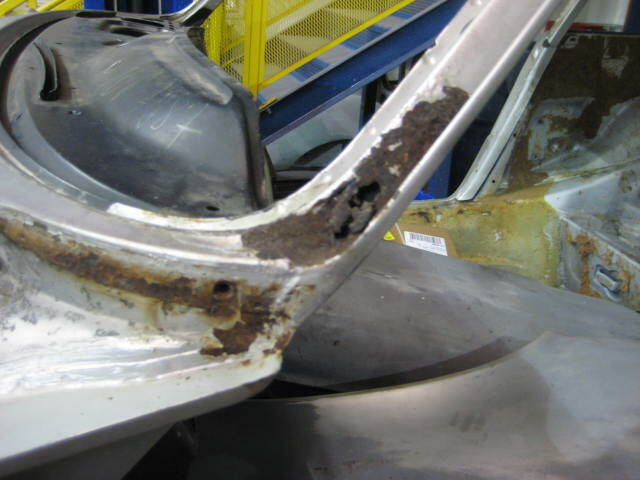 Tim sourced replacement metal sections from Porsche as well as a section cut from a donor car to be welded into place. Back at German Master Tech each part has been carefully cleaned and sorted in preparation to be sent out for zinc, cad, or chrome plating depending on how it originally left the factory. The window trim is being reconditioned and polished in preparation to be sent out to be re-anodized with the exact factory finish. The 1976 Carrera 2.7 used cast iron A-type front calipers, replacing the S calipers used in previous years. The front and rear calipers are heading to PMB Performance for complete restoration and rebuild. 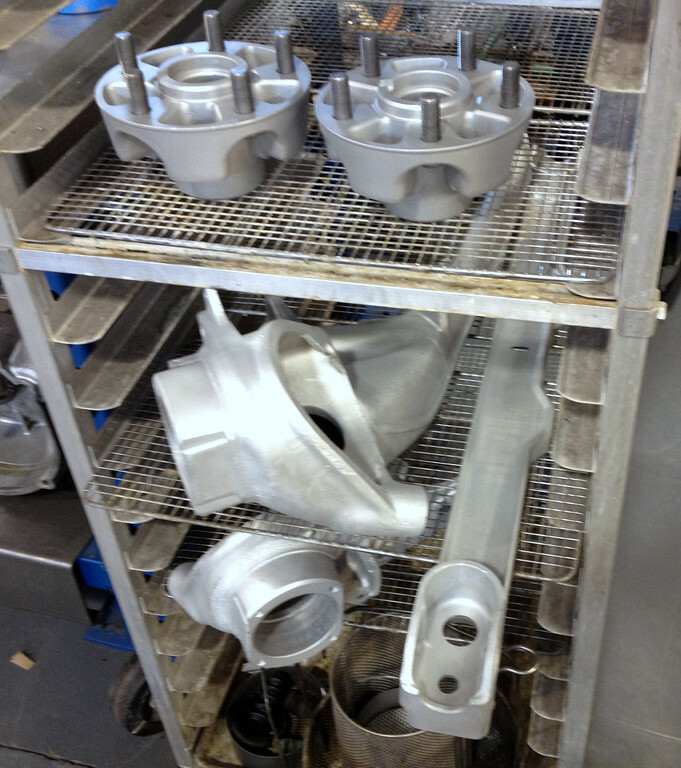 The 15" Fuchs wheels will also soon be heading to Harvey Weidman to perform his restoration magic. One significant benefit of restoring this specific Carrera is that it is largely original with very minimal changes since new. Given these 1976 Carrera MFI 2.7 are extremely rare and few other examples exist to compare against, particularly in original condition. The few things that were changed during its lifetime include changes for DOT import and California emissions such as two extra engine bay stickers, headlights and rings to US DOT spec, cast iron door bars, and a few other items such as seat covers, radio, PMO carbs, KYB rear shocks, and two of the wheels being later date coded Fuchs. 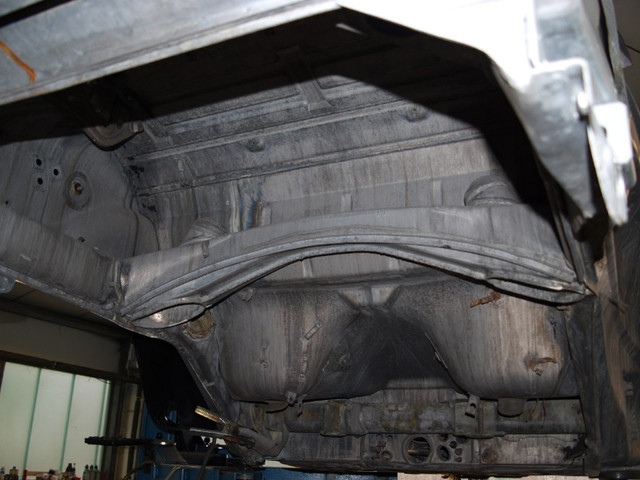 Otherwise the car is entirely original which helps ensure the original parts are reconditioned properly and, if absolutely necessary, any parts replaced match exactly how it left the factory. Stay tuned for more other posts covering the restoration of '76 Carrera MFI 2.7 #9050. Update 1/24/2013: Asking price has been raised to 125,000 EUR ($167k USD) after being painted. 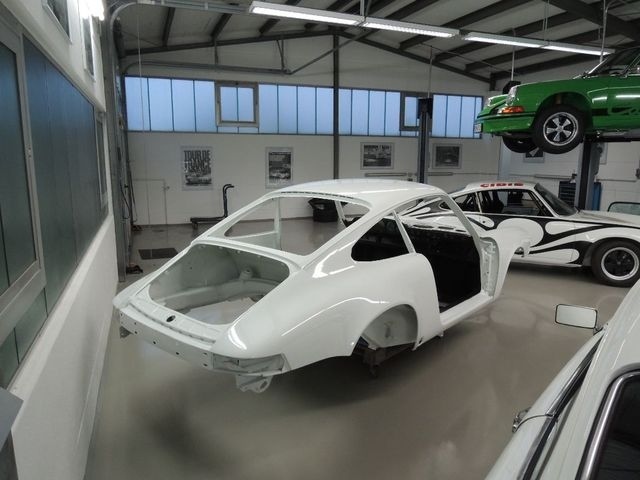 Posted 3/10/2012: Sport Wagen Service in Germany has a 1975 Carrera MFI 2.7 (chassis #911 560 0343) that has been stripped to bare metal and ready to be completely restored for the new buyer. 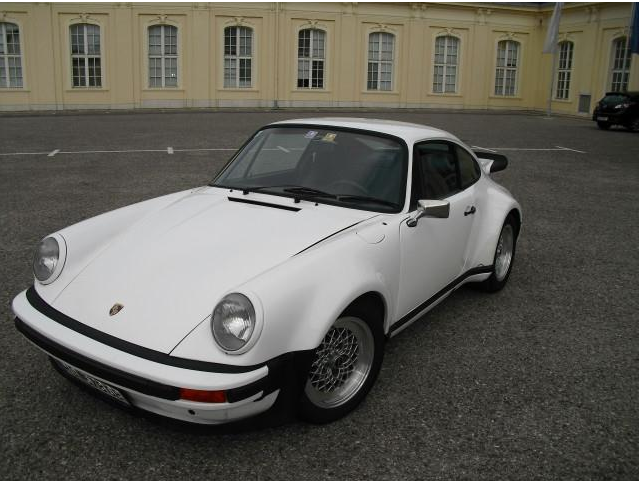 Originally in Grand-Prix White this Carrera was built February 1975, and has been in storage since 1988. 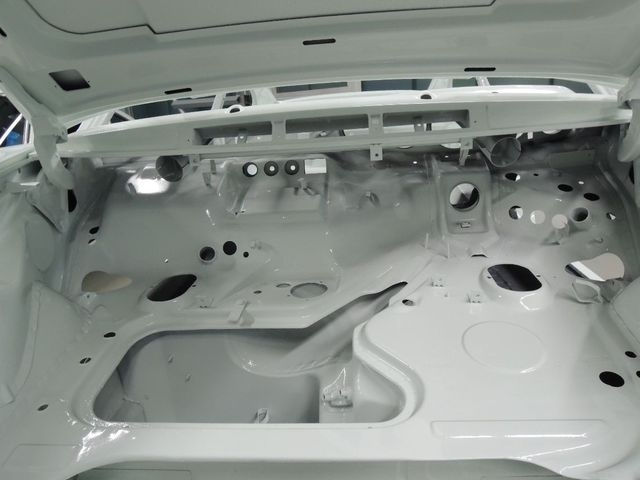 Aluminum chassis tag appears to have been removed, but has correct looking chassis number stamp. Sie haben hier die Gelegenheit einen 2,7 Carrera G-Modell Baujahr 1975 in nach Fertigstellung neuwertigen Zustand zu erwerben. Die Originalfarbe war grand-prix weiß. Es besteht noch die Möglichkeit den Wagen in Ihrer Wunschfarbe zu lackieren. Die unfallfreie Karosserie wurde komplett tauchentlackt und an den markanten Punkten mit original Porscheblechteilen wieder aufgebaut. Dieses Modell ist der direkte Nachfolger des Carrera RS und verfügt auch über denselben baugleichen Motor. Der Wagen wurde in Deutschland ausgeliefert, ist seit 1988 abgemeldet und war trocken eingelagert. Er wird von uns seinem neuen Besitzer so übergeben, wie er damals bei Porsche ausgeliefert wurde. Einem etwaigen Käufer werden regelmäßig über den Restaurationsfortschritt Bilder per e-mail zugesendet. 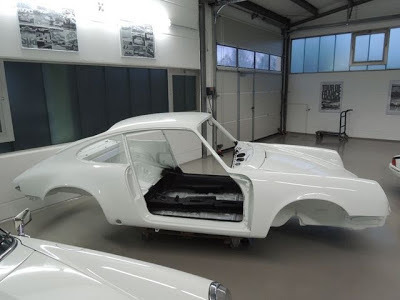 Wir sind seit über 30 Jahren spezialisiert auf Restauration, Wartung sowie Motor-und Getriebebau auch für Ihren Porsche. KFZ Meisterbetrieb. Porsche Inzahlungnahme möglich. Klicken Sie unten links auf Händler Homepage um unser gesamtes Fahrzeugangebot einzusehen. Irttümer und Zwischenverkauf vorbehalten, Bitte nur telefonische Anfragen. You have the opportunity to acquire a 2.7 Carrera G-model year 1975 that will be mint condition upon completion. The original color was Grand-Prix white. 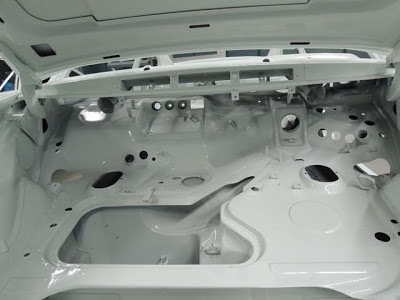 There is a possibility the car to be painted in color of your choice. 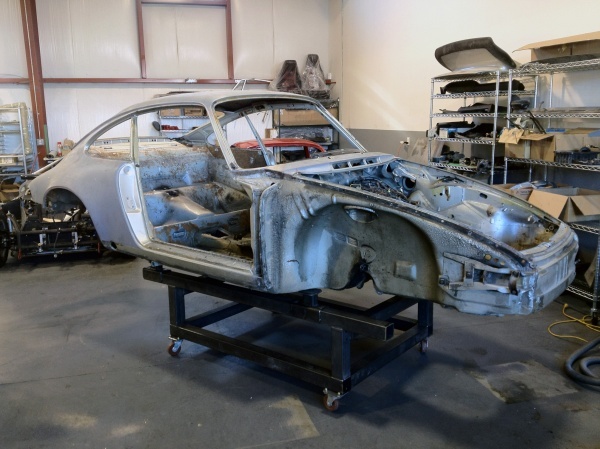 The accident-free body was completely stripped and the original Porsche sheet metal parts repaired. 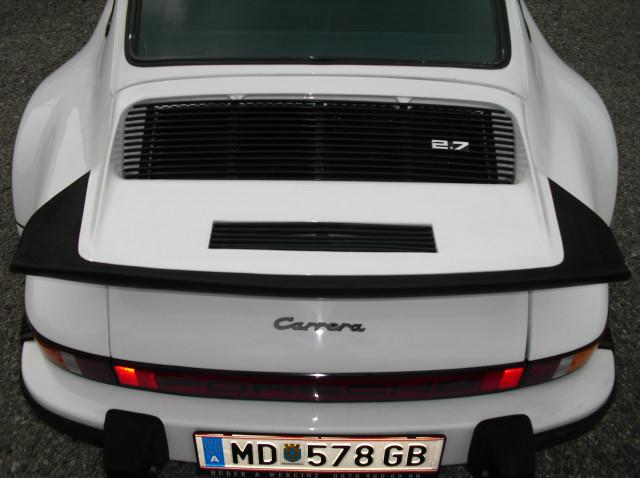 This model is the direct successor to the Carrera RS with the same identical engine. 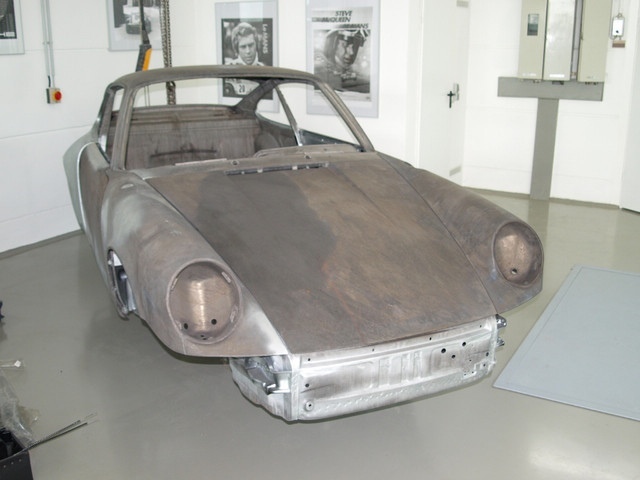 The car was delivered in Germany, has been off the road in dry storage since 1988. 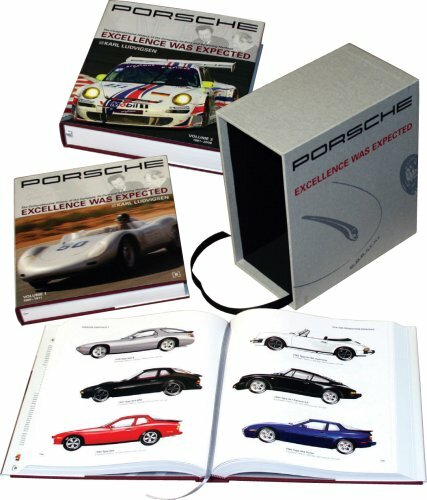 Buyer will get the car as it was shipped new from Porsche. The buyer will be sent regularly updates on the progress of restoration including images by e-mail. We have over 30 years specializing in restoration, maintenance, including engine and transmission for Porsche. Porsche trades possible. Please use telephone for inquiries. Offered at €99,900 (approx. $130,000 USD) including restoration by Sport Wagon Service. This early white 1974 Carrera 2.7 MFI is located in Austria and has been modified with Turbo flares and fitted with a later Turbo or '76 Carrera whaletail. Appears to have a 2.7 MFI engine with the red shroud and the engine serial number is in the right range to be matching with the car. Prospective buyers should verify it is numbers matching. As this is an early 1974 model year car this should have RS flares (not SC flares) and an original ducktail, which could be a fairly costly proposition if someone wants to return this to original form. Black Fuchs are available with the car. Der Porsche 911 Carrera 2,7 ist das Nachfolgemodell des F-Modells mit dem bekannten RS-Motor und Getriebe. Von diesem Auto wurden ca. 2.200 Stück gebaut, davon ca. 600 Targas. Von den Coupés wurden viele im Rennsport eingesetzt und überlebten dies nicht. Diese Auto hat die Fahrgestellnummer 9114 60 0129. Motornummer ist 664 0177. Das heißt: 1. Serie, Nummer 129. Dieses Fahrzeug ist mit dem passenden Motor auch als 3,0 RSR zugelassen für internationale Rennen. Wertsteigerung für diesen Typ nachvollziehbar. Perfekte Autos werden über € 100.000,-- gehandelt. Alles original bis auf Turboverbreiterung mit originalen Porschekotflügeln. Fuchsfelgen, nicht am Foto. Der Motor wurde von Werginz Motorsport von der Kurbelwelle weg komplett neu aufgebaut. Endlose Teilerechnung. Billstein, Sperrdifferenzial. Technischer Zustand 1, Karosse 2-. Fahrzeug liegt perfekt. Motor geht phantastisch gut.1000km seit Überholung. 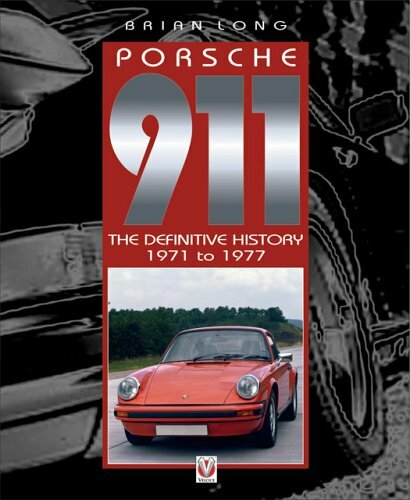 The Porsche 911 Carrera 2.7 is the successor to the F-model with the RS motor and gearbox. From this car about 2,200 were built, of which about 600 Targas. 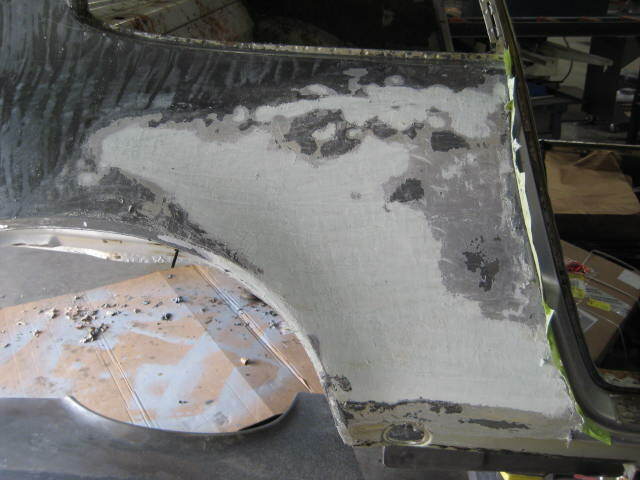 Many coupes have been used in racing and did not survive this. This car has the chassis number 911 460 0129 Engine number is 664 0177. 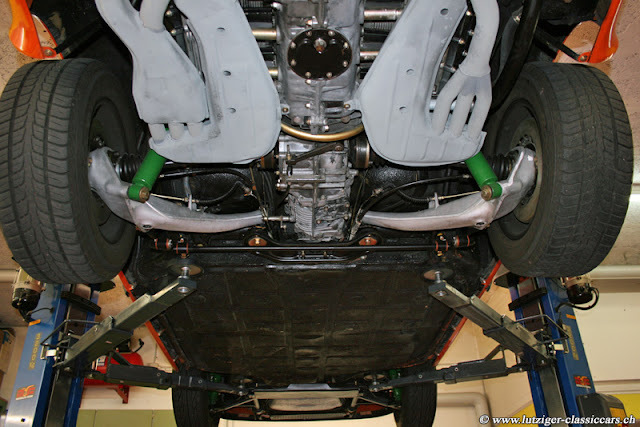 This vehicle is equipped with the right engine also approved for 3.0 RSR for international races. Appreciation for these type of cars is traceable. Perfect Cars will be traded at € 100.000. 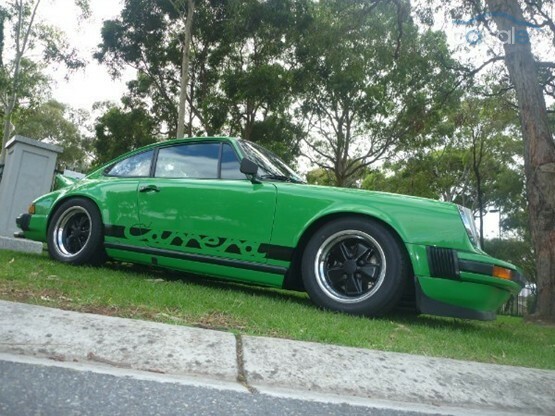 All original except for genuine Porsche Turbo with broadening fenders. Fuchs wheels, not the photo. 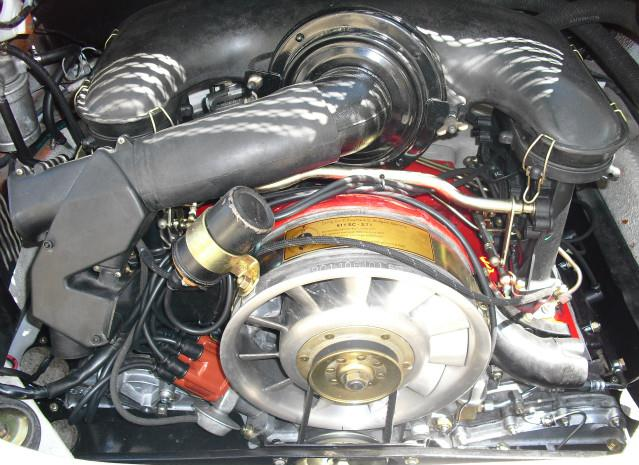 The engine was built by Werginz racing. Endless parts bill. Bilstein, limited slip differential. Technical Condition 1, body 2 -. Vehicle is perfect. Engine is fantastic. 1000km since overhaul. Offered for €65,000 (approx. $85,000 USD) by private seller.